Darche King Tourer Swag review. 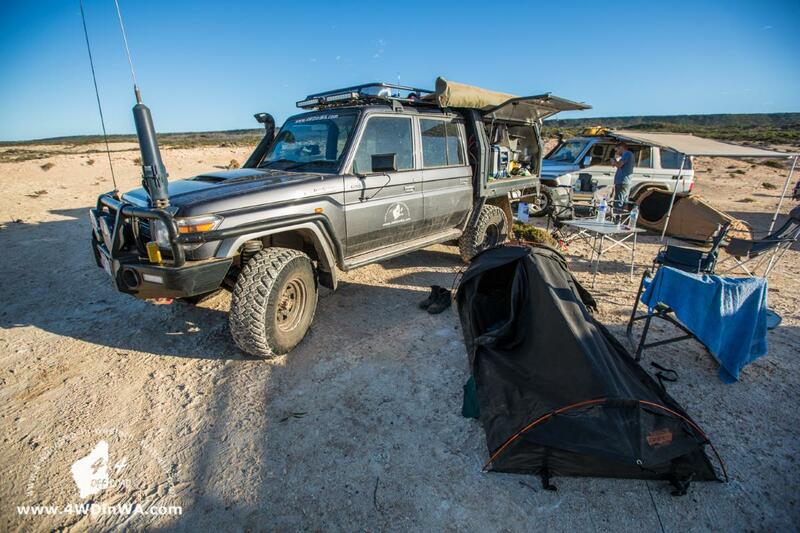 I have had this swag for 2 months as of May 2015 and the first 8 days I had it I lived out of it during our epic adventure to Israelite Bay and beyond! This is my second swag review and everything in this review is just my opinion on the Darche King Tourer swag from my own experience. We are not sponsored by nor have anything to do with Darche so this is an unbiased review. I previously had the Oztrail Michell King Swag which was a good swag and served me well over the 6 years I owned it. Then I decided to upgrade to a bigger swag with a PVC bottom so appearing puddles in the night from rain wouldn’t bother me anymore. So why did I want bigger? Well I had only one option before if I wanted to take one of my kids camping (without the entire family) and that was my lumbering 25kg RV5 tent which is just too big for a one night stay for two people. Therefore I looked for a bigger single swag so it would still fit on my roof rack, yet still be big enough to fit an adult and a child comfortably. Darche King Tourer Swag Review Video. I looked at about 3 different swags over as many weeks and finally decided to get the Darche King Tourer as it’s 1100 mm wide. It ticked my three boxes for size: 1.A good width. 2. Fits on the roof rack when rolled up. 3. A bit more head room than my previous swag. Also with the extra room I can put my muddy boots inside the swag on rainy days (in a plastic bag of course) and fit a clothing bag without feeling cramped. 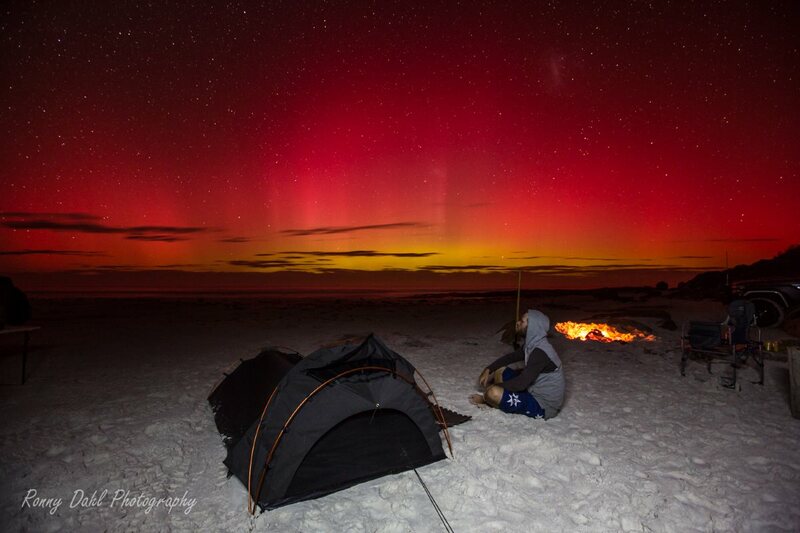 Over the eight days I used my new Darche King Tourer swag we encountered 42+ degree heat days, heavy and light rain, windy conditions on the beach, hard surfaces, soft surfaces and a magic night under some very rare Australian Auroras. Now that I’m thinking back it’s as if the 4WD gods pulled every condition out for me to test the swag! Well they forgot about the mud… time will tell and I will update this review at that stage. So how did it hold up in the conditions? Well I’m happy to say that even on a relatively hot still night the big vents at each end work well for cooling. On our last two nights which were sub 15 degrees C with wind closing the vents halfway the swag did the job for me. Of course depending on the quality of your sleeping bag your experience could be very different. With the heavy rain some water did leak through the stitching at one end, that said the next morning there was only a little bit of moisture in the swag (nothing to worry about but it does leak). On both soft and uneven surfaces the mattress did a great job and feels quite dense. The star gazing vent/window got used a lot as the moon phase was nearing ‘new moon’ during our adventure and we had Auroras!! How good is that! The Darche King Tourer swag looks cool in black but at night it’s really hard to see, I had better mention that the guide ropes are also black! I have never tripped over swag guide ropes as much as I did with this swag. On average 4 times a night I or someone else would trip over it. My solution was to put 2 flaps of alfoil around each guideline and that pretty well sorted the tripping hazards out. So the main things that got this swag over the line was the size, the star gazing window, the PVC bottom and of course the cool Stealth Black colour which just suits my 79 series Cruiser’s trim. When leaving the canvas half open it weighs down the fly net which can be a bit annoying at times. The pegs that come with it are really weak and need upgrading/replacement, I have bent every single one over the 8 days. The fly mesh is superfine keeping the smallest of bugs out, but not the sand on windy days. The star gazing window is really awesome! Yes you can see the stars in other swags but you can’t look straight up at them unless you have the Darche King Tourer. The mattress is excellent but time will tell if it stays that way. It simply looks cool and how many ‘cool looking’ tents are out there? Yep not many! I have had the Darche King Tourer swag for a lot longer now and not long after the review was written and filmed the poles started failing, in other words they kept snapping and now I have given up on repairing it after the 7th snapped section on the poles. The poles are very weak and thin so beware of that! I even rang Darche to see if they’d replace the poles and they replied saying the poles are not under warranty at all but the swag itself is for 12 months only. I then asked if they sold replacements and was told they did but they are made from the same weak material so I made the choice not to buy them as I’d be better off using the repaired poles which are now stronger. But the repairs cost me $20 for each 4 snaps. I have since thrown the Darche swag into a corner of the garage and invested in another swag instead with a 5 year warranty and strong poles. 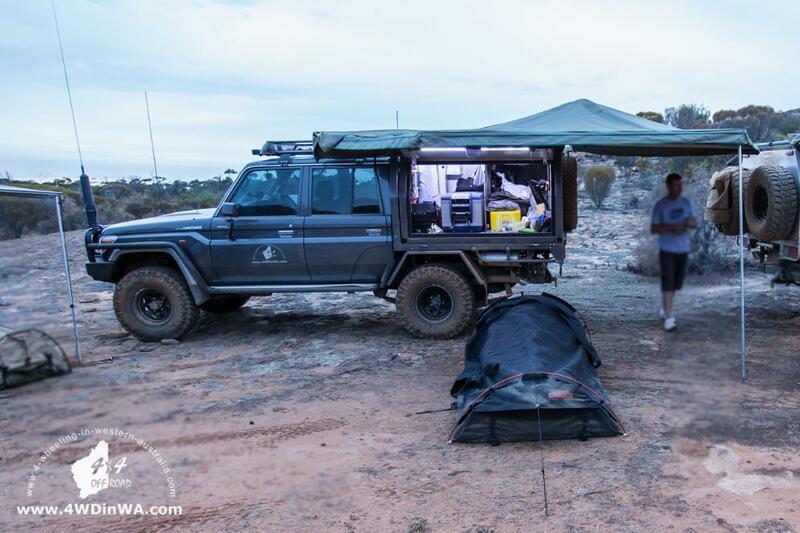 Leave The Darche King Tourer Swag And Go 4 Wheeling In Western Australia.